1831 - About this time, some of the brethren inquired of the Prophet Joseph Smith how they should “act in regard to purchasing lands to settle upon” in the Kirtland, Ohio, area. The Prophet inquired of the Lord and received the revelation known as Doctrine and Covenants 48. (History of the Church, 1:167-168). 1838 - About this time the Prophet Joseph recorded some thoughts that became known as “The Political Motto for the Church of Latter-day Saints.” It includes such sentiments as: “Peace and good order in Society. Love to God, and good will to men. All good and wholesome laws, virtue and truth above all things” and “woe to tyrants, mobs, aristocracy, anarchy, and toryism, and all those who invent or seek out unrighteous and vexatious law suits.” It concludes with the words, “Sacred is the memory of that blood which bought for us our liberty” (History of the Church, 3:9). 1842 - The Prophet Joseph Smith completes his translation of the Book of Abraham. 1844 - The last meeting of the Female Relief Society of Nauvoo is held and Emma Smith is released as President. It would be reorganized in 1866 with Eliza R. Snow as President. 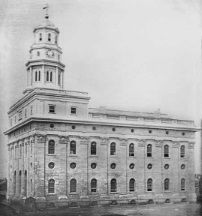 1845 - Brigham Young spoke to the Saints and called upon them to place all their efforts in completing the Nauvoo Temple. He also stated that since the State of Illinois had repealed the city charter that he was “going to drop the name Nauvoo and call this the ‘City of Joseph.’” He called for a meeting of the Bishops of Nauvoo to meet and organize a city government. 2001 - President Gordon B. Hinckley and Elder Dallin H. Oaks visit the island of Aruba, off the coast of Venezuela, and meet with the 180 members of the Aruba San Nicolas Branch. 2011 - Bishop H. David Burton, Presiding Bishop of the Church, was named “A Giant in Our City” by the Salt Lake Chamber of Commerce for his contributions to the Salt Lake City community. 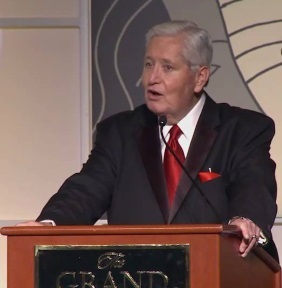 2013 - Church member Brady Tanner was inducted into the American Indian Athletic Hall of Fame. Born premature, he didn’t walk until he was 3 and was diagnosed with Rubenstein-Taybi Syndrome which delays mental growth and speech development. He started weightlifting in high school and began training and competing in powerlifting at the Special Olympics and has won gold and silver medals representing the United States at the World Special Olympics in Athens, Greece in July 2011 in the 242 pound weight class.